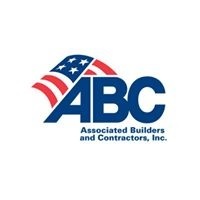 WASHINGTON – (RealEstateRama) — June 27—National construction trade association Associated Builders and Contractors and access equipment manufacturer JLG Industries Inc. today announced a strategic partnership that will help solve industry challenges with world-class education, training and equipment solutions. The announcement was made by company executives in Washington, D.C., during ABC’s Legislative Week. JLG Industries Inc. is a world-leading designer, manufacturer and marketer of access equipment. The company’s diverse product portfolio includes leading brands such as JLG® aerial work platforms, JLG and SkyTrak® telehandlers and an array of complementary accessories that increase the versatility and efficiency of these products. JLG is an Oshkosh Corp. company [NYSE: OSK]. For more information about JLG Industries, visit jlg.com. Oshkosh Corp. is a leading designer, manufacturer and marketer of a broad range of access equipment, commercial, fire and emergency, military and specialty vehicles and vehicle bodies. Oshkosh Corp. manufactures, distributes and services products under the brands of Oshkosh,® JLG,® Pierce,® McNeilus,®Jerr-Dan,® Frontline,™ CON-E-CO,® London® and IMT.® Oshkosh products are valued worldwide by rental companies, concrete placement and refuse collection businesses, fire and emergency departments, municipal and airport services and defense forces, where high-quality, superior performance, rugged reliability and long-term value are paramount. For more information, visit oshkoshcorporation.com.